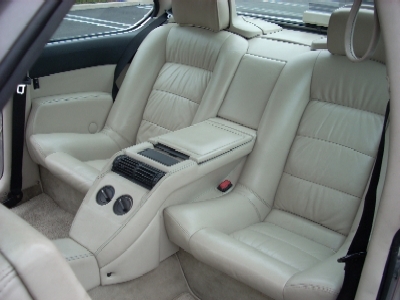 The interior color is Lotus White and the leather is in excellent condition. 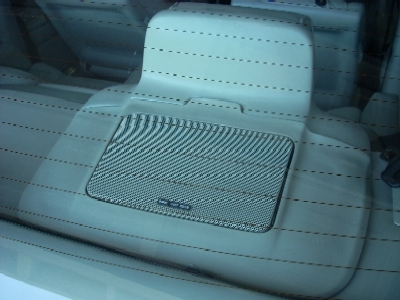 A crack free instrument panel from Europe was installed. 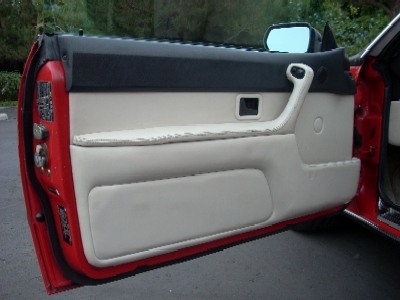 Before installation, heat insulation was applied underneath the top surfaces and a UV protectant from Colorplus was applied to the upper surface. 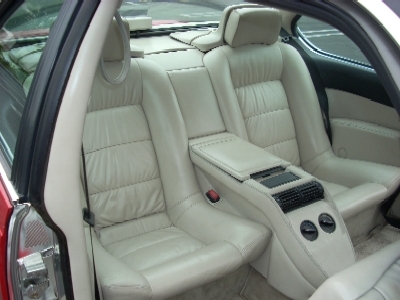 The front seats were recovered in leather in 2001. 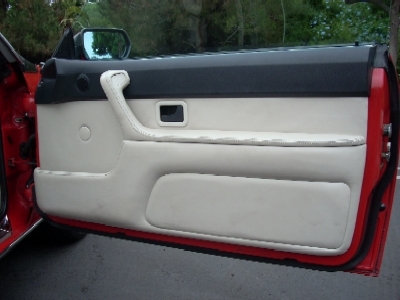 A new door gasket was installed on the drivers side. New floormats were installed to protect the clean original carpet. 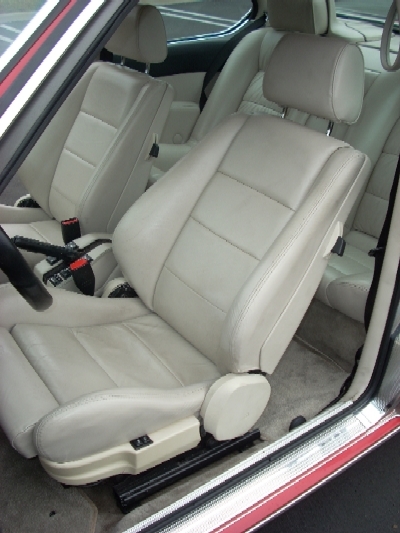 On the rear seats, Euro rear headrests were installed. 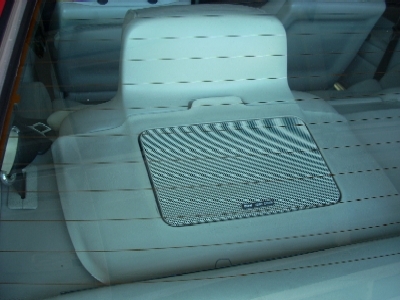 The speaker pods behind the rear seats have minimal distortion. 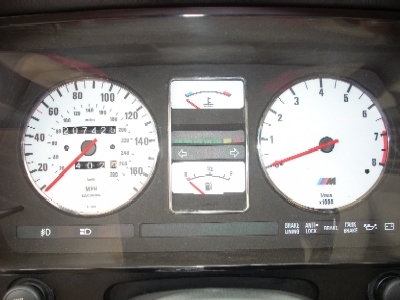 Chrome gauge rings and white dial faces were installed to give an updated look to the instrument cluster. At night, these dial faces glow orange light evenly - you can actually see the needles! 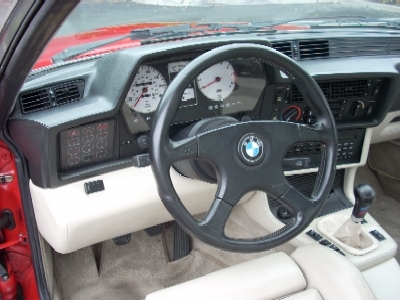 A Momo steering wheel was installed. The odometer gears were replaced. 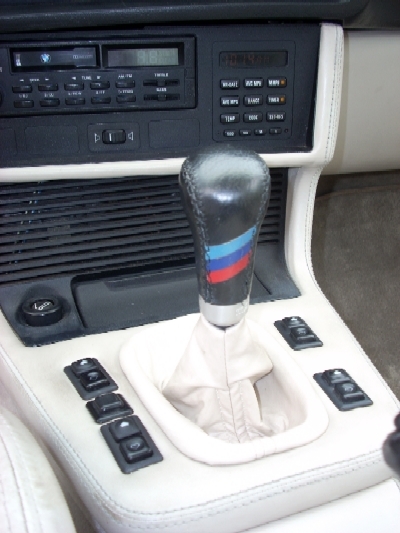 A little bit of bling with a Momo gearshift knob with the BMW Motorsports logo. The shift linkage and bushings was completely renewed with components from the Z3 which provides an OEM quality shortened shift throw. 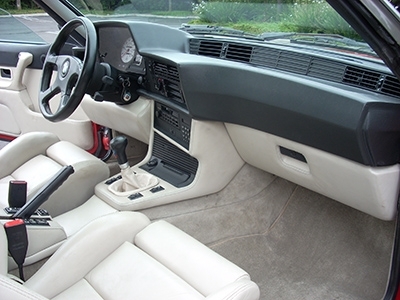 A new leather shift lever gaiter was installed. 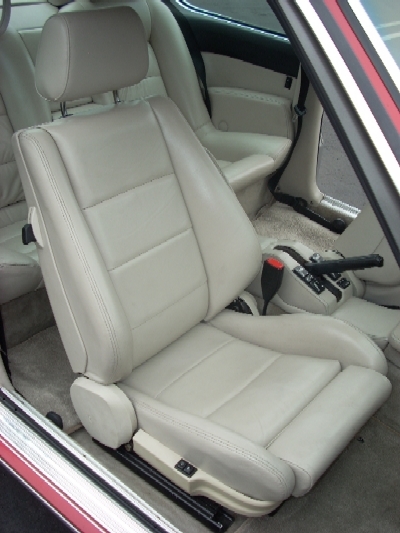 Clean working seat controls were installed. 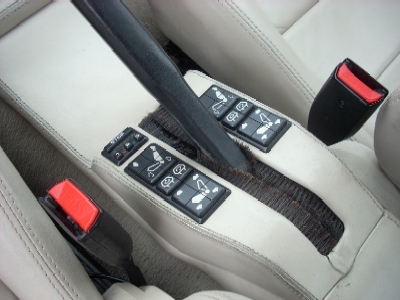 New seat belt receptacles were installed.